On The Hunt For Black Sweets? Whether you need black sweets to match a colour scheme, it might be for a wedding or for your favourite football team for example... or if you just like black sweets (bit of a liquorice addict? 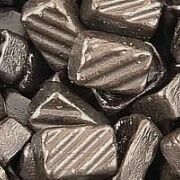 ), we have the best selection of black sweets around.